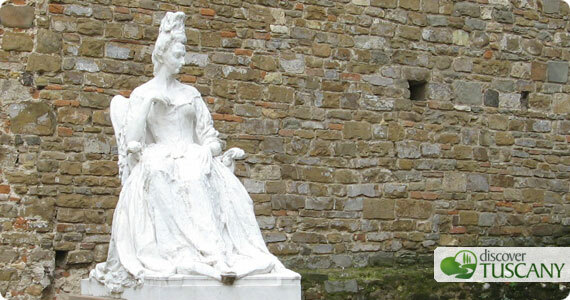 On February 18, the city of Florence pays homage to the last member of the Medici dynasty, Maria Luisa de’ Medici, on the anniversary of her death. Thanks to her and her “patto di famiglia” signed in 1737, the family’s immense patrimony of art, sculpture and other precious collections were left to the city of Florence for the benefit and enjoyment of the public and future generations. We should definitely appreciate that she had the forethought to tie the collections to the city and thus cannot be sold which makes it possible to enjoy the marvelous treasures in Florence today. The Opificio delle Pietre Dure, known worldwide for its expertise in art restoration work, is offering free guided visits in the morning from 9.30 through 11.15 to its museum. If you’ve never been into this small museum, we highly recommend it. The Opificio has many stupendous works of art created with the art of cutting precious stones to create scenes and designs. Call 055-261-6056 in the mornings to reserve your spot. If you don’t feel like being in a museum, just walk around the historical center in the area between Piazza della Repubblica, Piazza della Signoria and San Lorenzo. A parade in historical costume will start from the Palagio di Parte Guelfa and make its way to the Medici Chapels to deposit a floral arrangement on Maria Luisa’s monument. Then take advantage of the special opening of the Medici Chapels from 14.00-19.00 on this special day! At 17.00 within the Chapel of Princes (inside the Medici chapels), you can enjoy a classical music concert. We hope you enjoy this day visiting Florence and remembering the last of the Medici family that has made it possible for so much art and beautiful treasured to continue to remain in Florence today.